You'll want to grab a cup of coffee and get comfy this morning! 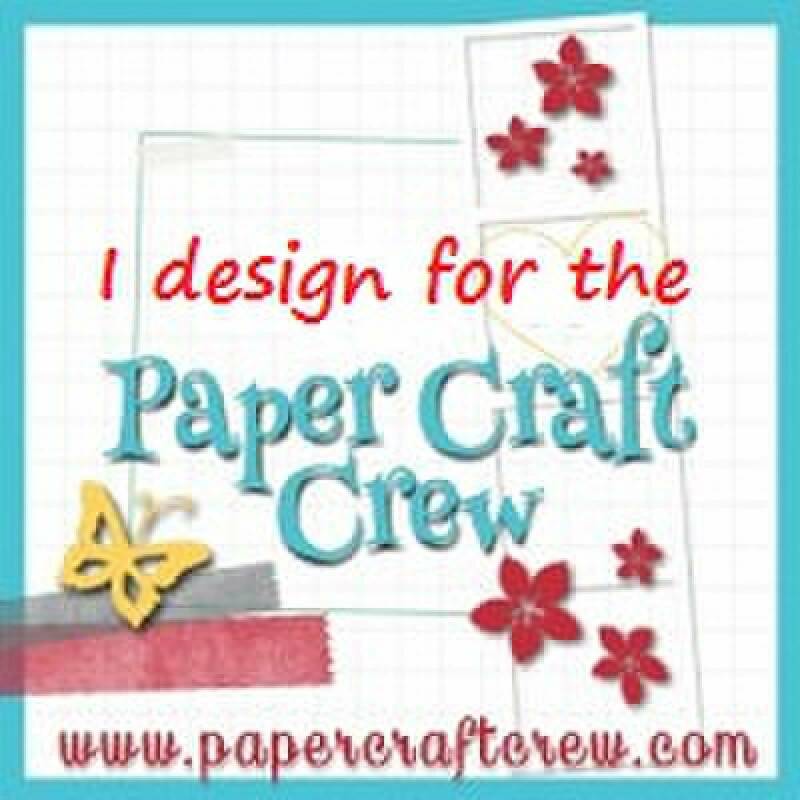 It's the "grand opening" of the Paper Craft Crew Blog. While we HAVE been posting to it for sometime, this is the week we launch all the fun stuff! I started off with a square base for this one, so the card is just 4" x 4". Tiny and cute! 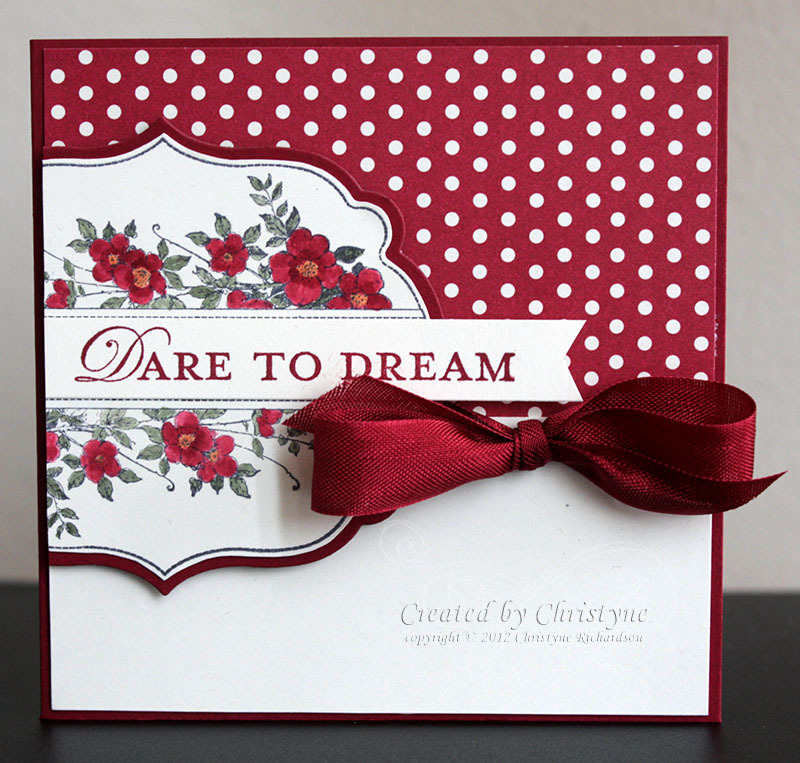 The polka dot Designer Series Paper is from the Festival of Prints Pack. I just LOVE how versatile this pack is. It's in the Holiday Catalogue, but you can use it for just about anything! It's only available till January 2nd, 2013, so get yours soon! I added a piece of Very Vanilla to the bottom of the card front and then hid the seam using a length of Cherry Cobbler Seam Binding. The main image from Apothecary Art was stamped in Basic Grey and coloured in using a Blender Pen with Cherry Cobbler and Always Artichoke Ink. 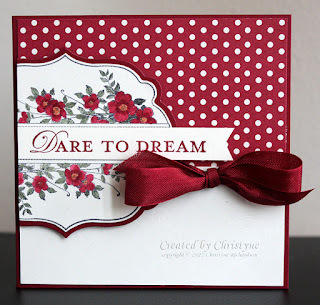 "Dare to Dream" (from Loving Thoughts) was stamped in Cherry Cobbler and then end was flagged before it was adhered to the main image. 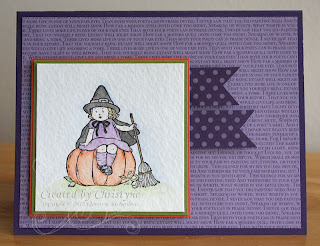 The whole image panel was then attached to the card using Stampin' Dimensionals. 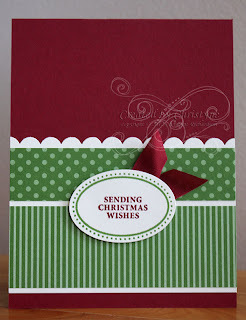 There will also be a GRAND PRIZE DRAW over the the Paper Craft Crew Blog, so don't forget to check it out!! Submit a card based on the sketch to be entered into the GRAND PRIZE draw! The draw will take place NEXT Wednesday after our sketch posts. Are you ready for Halloween? Are you even going out? If you live on/near the East Coast, you're probably hunkering down and not even opening the front door. I'm in Southern Ontario and considering just going to the store and buying each of the kids a box of candy. Seriously. I'd rather do that than brave the nasty weather we're expecting tomorrow evening. YUCK! 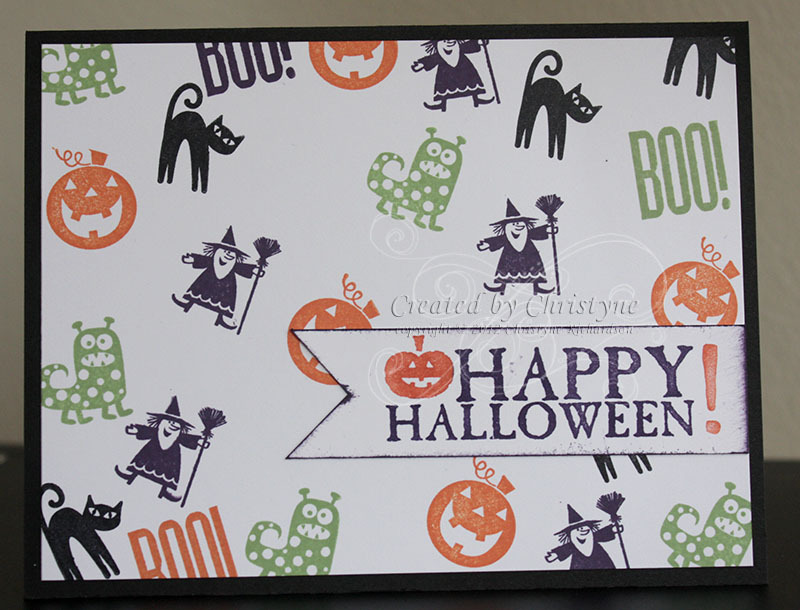 I started off with Spooky Bingo Bits to create my paper by stamping randomly on a piece of Whisper White Cardstock. Next I stamped the sentiment from Seasonal Sayings onto Whisper White Cardstock and dragged that strip through my Elegant Eggplant ink. The sentiment was adhered to the homemade paper and they were both adhered to a Basic Black base. 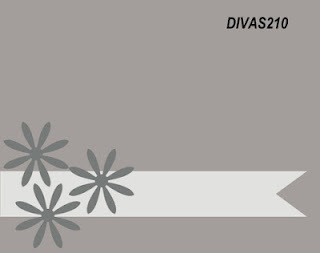 Don't forget to check out the rest of the Divas HERE. Hope you have a great Halloween and manage to stay dry! Don't forget! 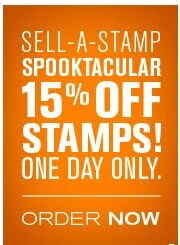 For one day ONLY almost ALL stamps are 15% off!!! Don't miss out! Shop EARLY! With a WHOLE WEEK of deals!! FREE - like free, free - downloads from my online store and 50% off digital kits for EVERYONE!! What will you download first?? A little bit of Merry for you! OOPS! Sorry this card is a little late today. If you've been reading for awhile, you know that I like to schedule my posts in advance and that they usually pop up at 6:30 a.m. I've been a little, shall we say, "creatively challenged" lately and the ideas haven't been coming to me as quickly and as often as they usually do. 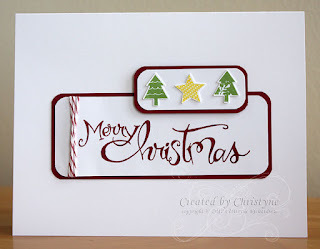 Today's card is one that we did in my second Christmas Stamp-a-Stack of the season yesterday. There are two more to go and I still have space in both, so if you'd like to come, check out my classes page for the details. It used the little "merry" bird from the "For the Birds" Stamp set (which by the way is part of the 15% off stamp sale tomorrow!). The image was stamped in Black Staz-ON and then I used my blender pens to colour in the image. I added a little shot of Cherry Cobbler Dazzling Details to the pom pom on his hat - SO CUTE!! 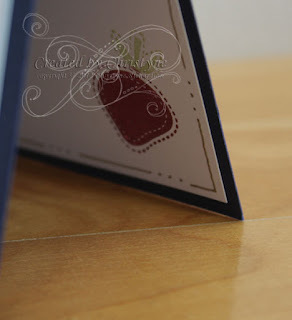 A sponge with Cherry Cobbler ink was used to add some detail to the 2 1/2" circle before it mounted on the card front. A button with a length of Baker's Twine is the finishing touch. Merry Christmas for the Divas! It's another DIVAS Sketch Day today and I think you'll love the sketch!! It's versatile and has lots of cute flags on it. I had the Festival of Prints papers out to work on my Creative Crew assignment for November (was that a hint?) so I decided to use them for the Divas Sketch Card. I started off stamping the tree/branch using my markers directly on the rubber in Early Espresso and Lucky Limeade. Next came the bird in Cherry Cobbler, Early Espresso and Pumpkin Pie. To stamp the sentiment, I used Island Indigo on one word, stamped it, cleaned the stamp then coloured and stamped the second word in order to have them stacked. I *could* have cut the stamp apart, but I'm not a big fan of doing that. 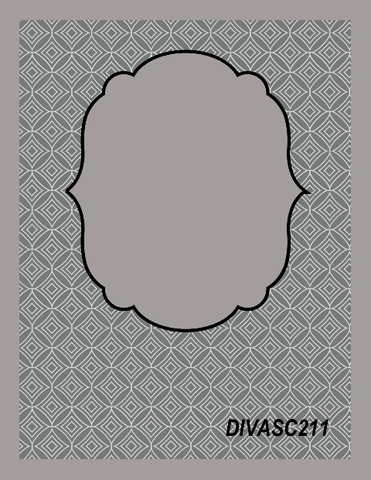 Last, but not least, I added the flags at the bottom and adhered everything to the card front. You can check out the rest of the Divas on the Divas Blog. Are you ready for SOMETHING HUGE??? Today's Friday - MY WAY! is being interrupted by a most amazing deal announced yesterday by Stampin' UP! On Monday October 29th for 23 hours and 50 minutes ONLY, Stampin' UP! will be offering almost ALL of the stamp sets in the catalogue for 15% off. The only sets NOT included in this offer are the hostess only sets, the bundled sets and the digital stamp brush sets. So...get your catalogues out and start making your choices. This is one sale you WON'T want to miss! You can either shop online, by phone directly with me at (416)420-6975 or by emailing me. The shopping links and email links can be found in the left sidebar. 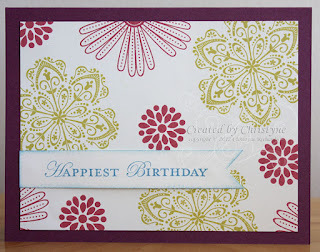 Today's card is from my Stampin' UP! Website. I just love ALL the ideas you can find there and the best part is, you can find out exactly which products were used on the cards and other projects. 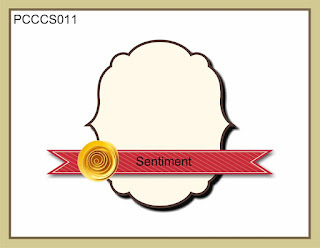 I think this card is so simple and elegant. 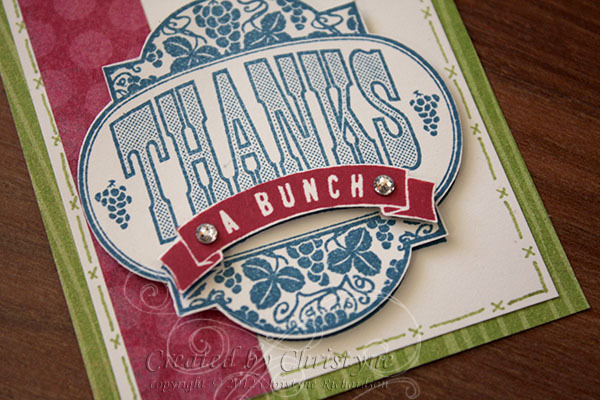 Just PERFECT for a quick thank you card. A few punches and a stamp set and you're done! Oh my! I was down to the wire on this one! I've been SO busy with Christmas cards for classes that I'm seriously starting to think that I'm burning out. I LOVE posting to my blog everyday because I just love sharing new things with all of you, but I think I may need a little break. I'll have to keep you posted. Today's card is going to a dear friend who is having a rough go of things right now. She needs a hug through the mail and since this is what I do, I thought it was a GREAT idea! You'll have to excuse the location in which the photo was taken as it was well after dark when I finished the card. *sigh* Have I mentioned that I REALLY don't like this time of year? The early setting sun is SO depressing. BLAH! I stamped the image in Always Artichoke unto Very Vanilla and hand cut it (yes, I was too lazy to get up and use the Big Shot - pathetic!) and then matted it on a piece of Always Artichoke which was also hand cut. 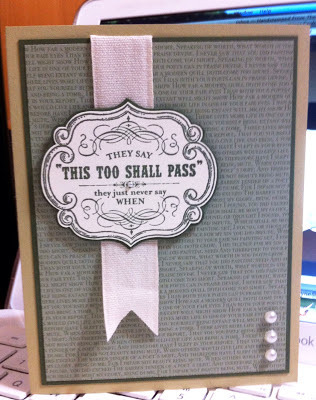 I added the Natural 7/8" Ribbon and then attached the sentiment panel with Stampin' Dimensionals. The final touch was the basic pearls. Frosty Friends for the Divas! Are you sitting down? You might want to, because if you don't, you might just fall over from the cuteness! 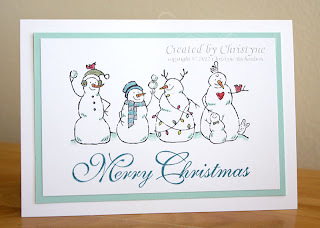 I started by stamping the Frosty Friends image onto Whisper White cardstock, using Staz-ON ink. Then I took out my ink pads, smooshed them and used the ink in the lids with my blender pen to colour in my image. I thought I was going to have to cheat and use Pumpkin Pie for the snowman noses, but it seems if you colour in Summer Starfruit first and then add a layer of Primrose Petals on top, you get orange! :) Yes. I DO remember basic colour theory from grade school, but in the real world it doesn't always work out the way you think it should. I'm glad it did! 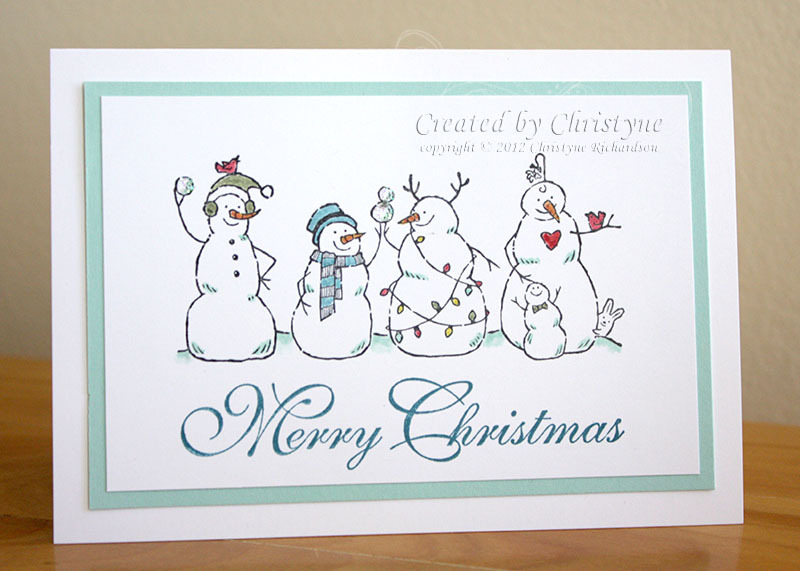 I added the sentiment from Greetings of the Season and Dazzling Details to the snowballs for the finishing touches. I thought I was all kinds of clever when I created the tags in this post...till I read the directions for the tags again. *sigh* Getting ahead of myself is a particular specialty of mine - LOL! 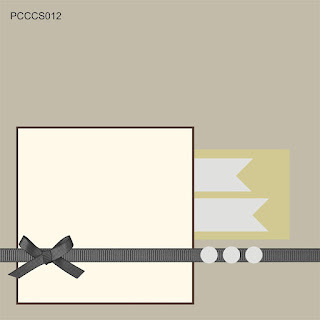 Turns out the TAG/ATC challenge was tied into the Catalogue focus which was to use the Occasions stamps on pages 32-57. Yeah...got a little excited there! FORTUNATELY, it turned out that the tags were OK because the Holiday Focus could be created in ANY format (tag, card, scrapbook page, home decor), so...PHEW!! Here's a picture of both my adorable (if I do say so myself!) Tea Shoppe ATC cards. 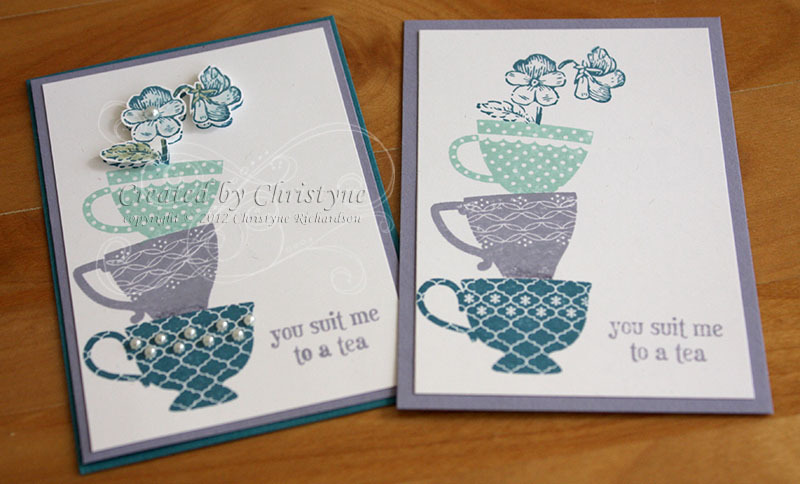 The one on the right is the simple version, stamped on Whisper White. The one of the left is my stepped up version. 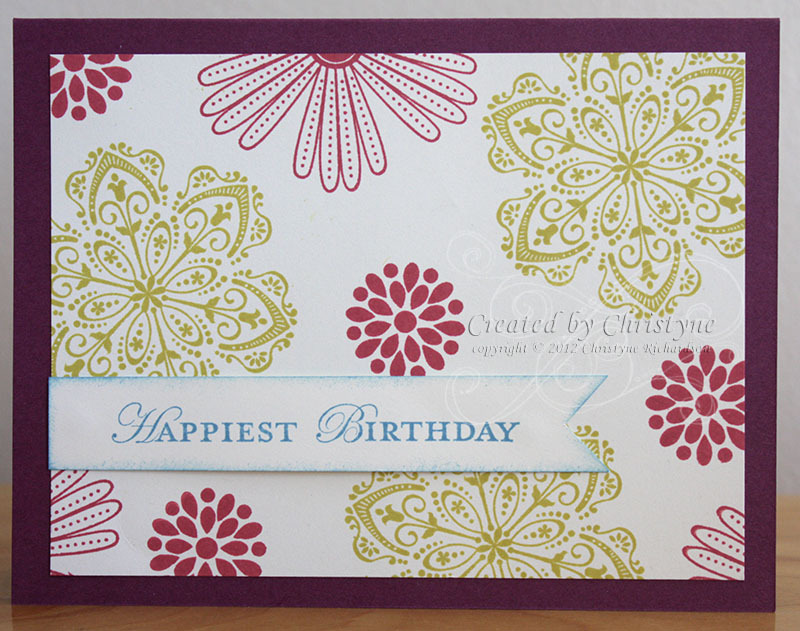 To step it up, I stamped the flower image a second time, cut it out and adhered it to the card front using Stampin' Dimensionals (cut into teeny pieces!). I coloured in the flower using the blender pen and ink and added a pearl. On the bottom cup, I added NINE tiny pearls. Here's a close up of the flower in the top cup. I used the ink from the stamped image and dragged it around with my blender pen to add colour to the flowers. I coloured the stems/leaf with Always Artichoke Ink and the blender pen. 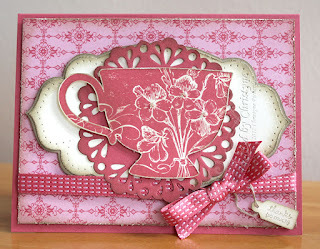 Wishing you a wonderfully blessed day filled with stamping and happy times! Don't forget that there's only 10 days left to take advantage of this special offer! Christmas Wishes for the Divas! I started off with a base of Raspberry Ripple and added a layer of Wild Wasabi after running it through the Big Shot with the Holiday Frame Embossing Folder. 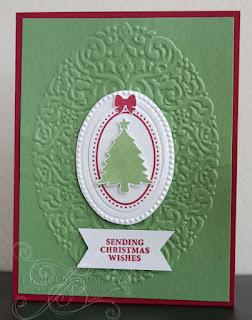 I used the small oval embossing folder on a piece of Whisper White and then cut it out. The oval frame was stamped in Raspberry Ripple and punched out. I then added the tree which was hand cut and finished it off with a tiny Raspberry Ripple bow. I took a few liberties, but I was elbow deep in creating for Extravaganza and simply did not have the time (nor the tolerance for the elevated stress) to create another card. I'm hoping things slow down soon! Meanwhile, you can check out what the rest of Divas created HERE. 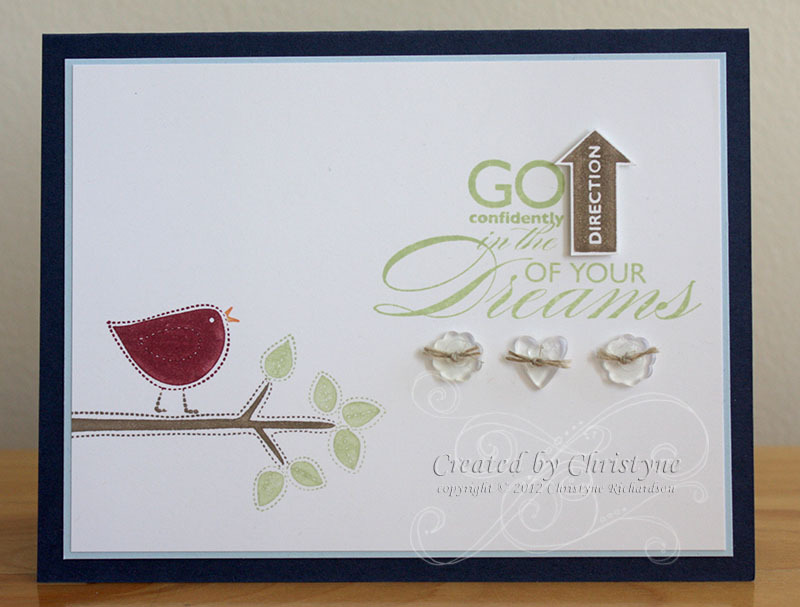 ACCESSORIES: Big Shot, Embossing Folders, Punches, Stampin' Dimensionals. Merry Christmas - MY WAY! SQUEEEEE! I think this is THE cutest MY WAY card to date! When I saw the card that I wanted to do MY WAY, I knew JUST want I wanted to do. And...unlike THIS POST, it turned out EXACTLY how I saw it in my heard the first time - LOL! And...my blog reached over 75,000 blog hits over night! You know what THAT means?? PARTY time! Not to mention...BLOG CANDY! Read on for details! I started off with the Merry Christmas panel and stamped it in Cherry Cobbler on Whisper White. I rounded the corners, wrapped it with bakers twine and matted it on a piece of Cherry Cobbler cardstock. Next step was stamping and punching out the trees and stars from Merry Minis. It sure is a good thing that there's a matching punch for those little stamps. Everyone knows I LOVE fussy cutting, but cutting 45 of those out would be NUTS! After stamping (Gumball Green and Daffodil Delight), they were punched out using the coordinating punches and adhered to the Whisper White piece using glue dots. This piece was then attached to a piece of Cherry Cobbler. It was then attached just above the sentiment with a Stampin' Dimensionals. Now...for that blog candy thing! Leave me a comment and let me know what YOUR favourite colour of baker's twine is! I have a package of Lucky Limeade that will be awarded by random draw from all the comments left between today and Monday morning at 8 AM EST. So...I've had the idea for this card in my head since the inspiration piece was posted about 2 1/2 weeks ago. The problem was, I had SO much other stuff on the go that I didn't have to time to turn the idea into a card until YESTERDAY. If you know me, you know that last minute DRIVES. ME. CRAZY. And so it was - ARGH!!! You can see what the other ladies have created here. 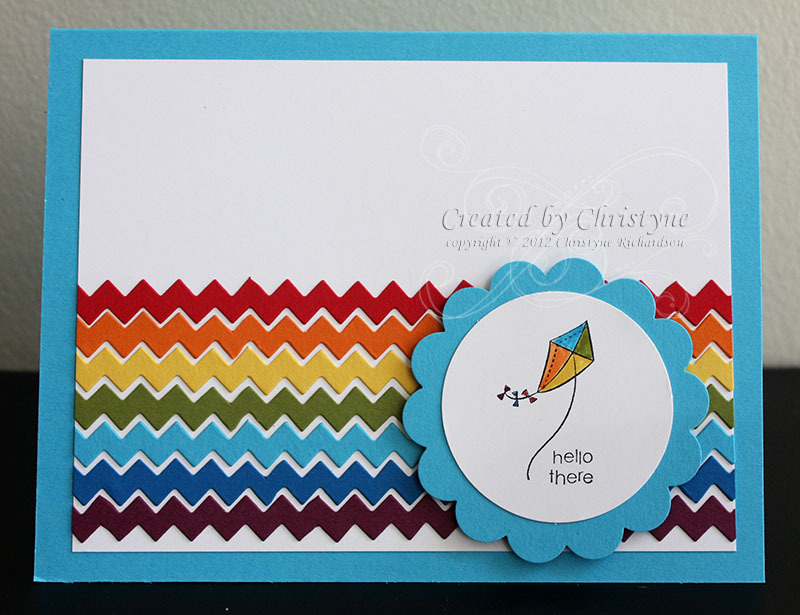 As soon as I saw the inspiration piece, I knew I wanted to do a striped pattern on the card. 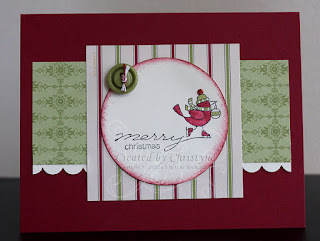 It didn't take me long to decide that I would use the Tasteful Trim die and my Big Shot. I just love how easy it was to create the strips in a matter of minutes! For my stamped image, I wanted something fun and happy, so I chose the hostess set "Happy You" and stamped the kite image. 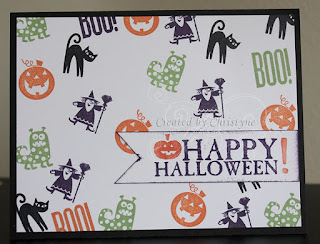 I stamped the image in Black Staz-ON and coloured it in using my Stampin' Write markers. I kept the same colours as in the strips on the card. Halloween will be here before you know it! Are you ready??? You'll notice from this post, that when I create, I play with what I have out. 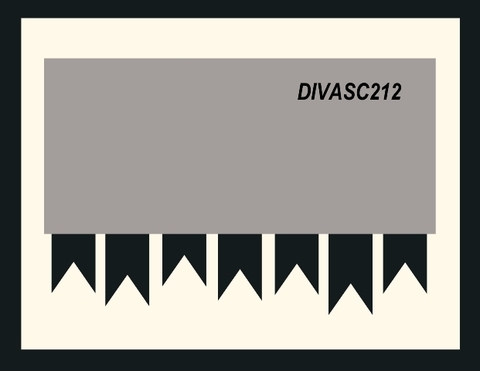 Since I was creating with Elegant Eggplant for the Divas I figured I might as well just keep creating with it for the Paper Craft Crew. It's easier to put away when there's LESS of it to put away - LOL! I stamped my little witch on watercolour paper using Staz-ON ink and coloured her in using my watercolour crayons and aqua painters. I was going for an "antique" kind of look so I didn't saturate the image too much. Do you think I succeeded? I matted the image on both Old Olive and Tangerine Tango (yep! I had them out...) and then added flags to the top right of the the image panel. On the inside, I added a piece of Elegant Eggplant and Whisper White. Doodling and a matching flag were the finishing touches. Good morning Divas near and far! Are you ready for another colour challenge? The colours threw me a bit this week because of their different colour values, but I persevered and got it done - WOOT! I started off with the Night of Navy base and added a layer of Bashful Blue to that. Onto the layer of Whisper White, I stamped the branch image after using the direct to rubber technique. After the branch was stamped, I added the little bird - isn't it CUTE? Once the bird was in place, I had to choose a sentiment and went with one from the Word Play set. I stamped the sentiment in Certainly Celery and then stamped the "direction" arrow in Soft Suede on a scrap piece of paper and cut it out. It was added to the card front using Stampin' Dimensionals. There seemed to be something missing, so I added a few Bitty Buttons. I like it! As you know from this post, our general theme this month for the Creative Crew is Step-It-Up! When I think "simple" I think single layer, so that's what I did on my Island Indigo tag. And then...I went a little nuts - LOL! I stamped the image on the second tag in Island Indigo and then decided it needed a double layer, so I stamped it again and cut it out! I added the faux stitching in Lucky Limeade next. As I was going to adhere the double layer of the image I decided that I needed something more on the tag and that's where the strip of Raspberry Ripple Designer Series Paper came in. THEN I attached the label and stamped the small banner in Raspberry Ripple before cutting it out. 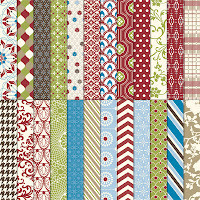 On the WOW tag, I added Lucky Limeade ribbon instead of Island Indigo ribbon. A couple of rhinestones are always welcome addition! 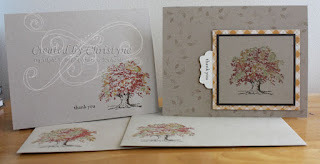 In September, there was a Design Team search for the Clean and Simple challenge on SplitCoast Stampers. While I didn't make the actual team, I WAS chosen as a guest designer for this past Monday. There was a bit of confusion, so I didn't get my card up BEFORE the challenge went live, but Denise (our coordinator) was kind enough to let me create it first thing in the morning and STILL have it featured in the challenge for the week - YAY!! We had to use plaid - YAY!! The first thing that popped into my head was the Howlstooth and Scaringbone Designer Series Paper. Then I thought, perhaps I should make a Christmas card, so I pulled out a sheet from the Festival of Prints pad, but it just wasn't speaking to me, so I went back to the Howlstooth and Scaringbone. Since last Monday was Thanksgiving in Canada, I knew I wanted to use something relative to the holiday and Day of Gratitude seemed like just the thing. 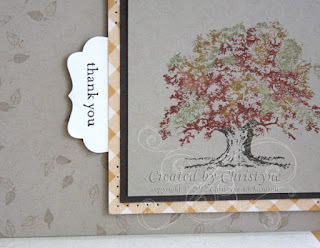 I stamped it in Tangerine Tango on Very Vanilla and die cut it using the Window Frames Framelits. I just love that you can give these a 1/4 turn and get a WHOLE different look. It's like getting TWO whole sets of Framelits for the price of one! I added a bit of texture down in the right hand corner that you can *just* make out if you look closely. Happy Halloween!!! Yes, I KNOW it's not October 31st, but it's just around the corner and it'll be here before you know it! I don't normally make that many Halloween cards, but I've been having fun creating them this year. I may even send a few out!! I started off with an Elegant Eggplant base and added a layer of Elegant Eggplant Designer Series Paper. The next step was stamping the little witchy hats and cutting them out. 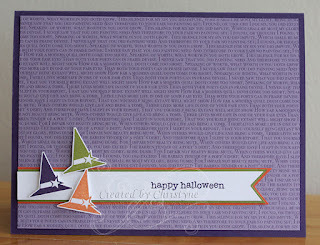 I then stamped the sentiment in Elegant Eggplant on Whisper White. It was matted on Old Olive and Tangerine Tango and the ends were flagged before it was adhered to the card. 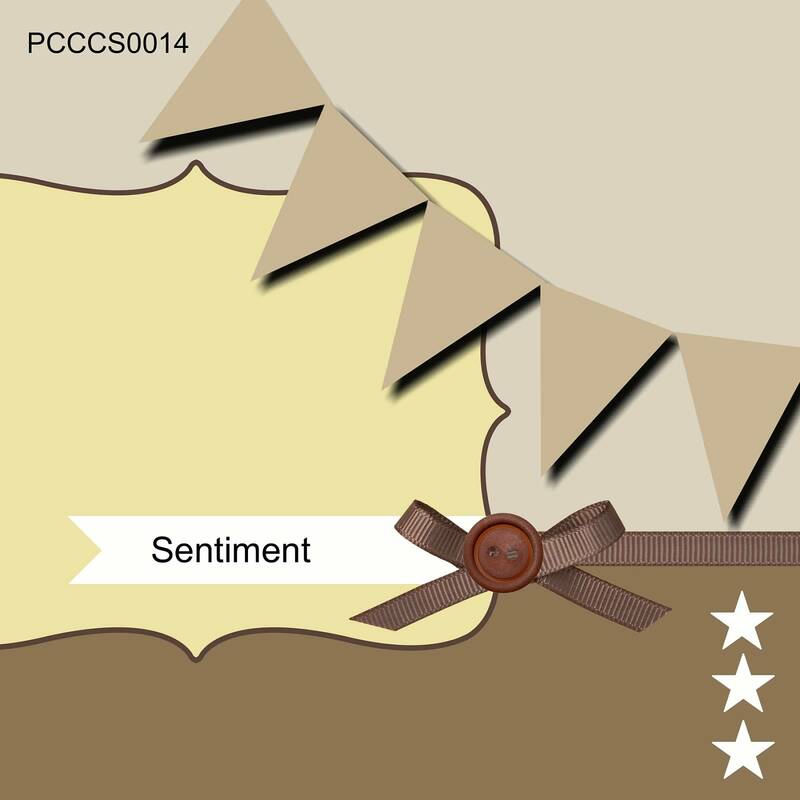 The little hats were attached using Stampin' Dimensionals. Friday - MY WAY with the Creative Crew! Happy Friday peeps! Ready for the weekend?? Today's MY WAY is all about Halloween! I've had this project done since September 26th, but since the Crew stays "hush-hush" till the 1st of the month I had to keep it a secret! The first card is UBER simple! I simply stamped the image using Staz-ON and the sentiment using Always Artichoke (I had the Always Artichoke out for a Diva's Colour Challenge). The second card is the stepped-up version! 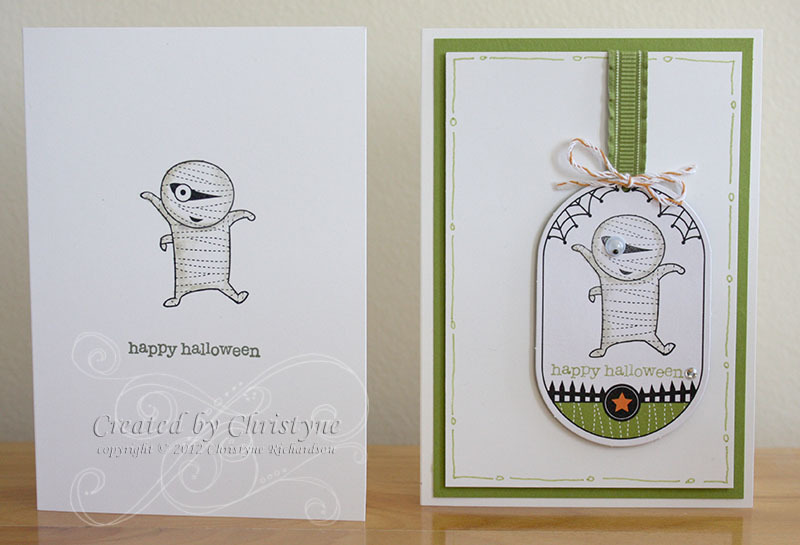 I stamped the image and sentiment on a Halloween Kit tag this time and added a Basic Rhinestone and a googly eye! I added two more layers of cardstock too! A layer of Lucky Limeade was attached to the base and a Whisper White layer (with doodles, of course!) was attached to that with Stampin' Dimensionals. I added the ribbon and attached the tag using Stampin' Dimensionals again. Steppin' it UP! for the Creative Crew! And the Divas Too! This month's theme for the Creative Crew is "step it up!" 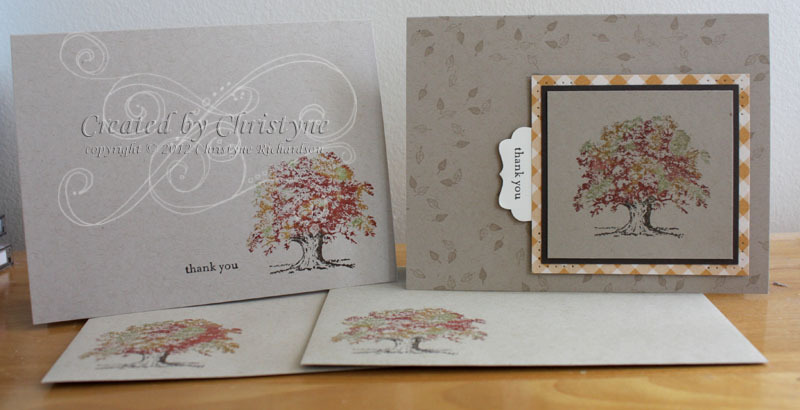 Start with a simple card and show ways in which it can be "stepped up". This is a great technique for demonstrators as it allows us to show a simple card at our workshops and then show how to "step it up" for a little bit of WOW! 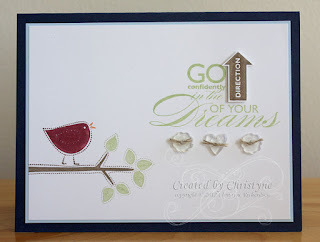 New stampers will love the simple version because it means they can get stamping right away and not be overwhelmed and experienced stampers will be able to add the extra details of the stepped up version making it their own. I used my Lovely as a Tree set (after all, it is a classic!) and used the direct to rubber technique. I used my More Mustard, Cajun Craze, Lucky Limeade and Early Espresso markers to colour the tree and stamped it directly on my Crumb Cake base. 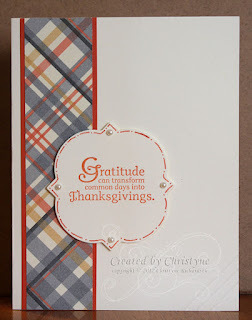 Since I don't send many "Happy Thanksgiving" cards, I opted for the "thank you" from Teeny Tiny Wishes. It was stamped in Early Espresso. I started off by colouring my tree using the same technique as above and stamping it onto a piece of Crumb Cake cardstock. I then matted it on Early Espresso. 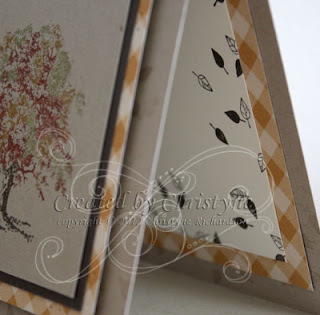 I cut a piece of Orchard Harvest Designer Series Paper and used my piercing template to poke little holes in the corners. If you DON'T have this yet, it's a must have in my opinion. You can a lot of detail with very little effort! 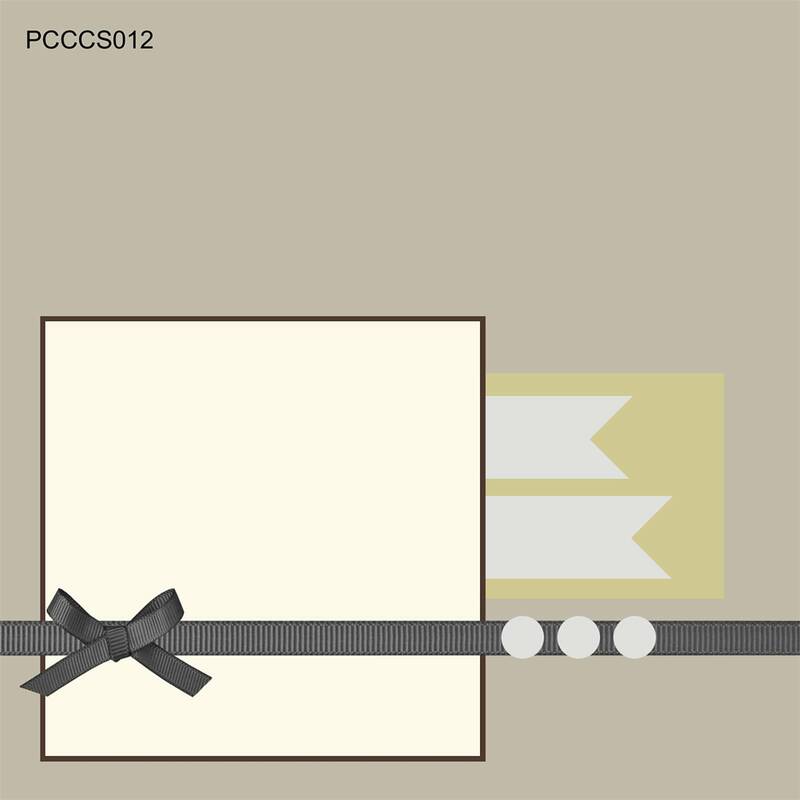 There are TWO paper piercing packs currently available: The Essentials Pack and The Festive Pack. 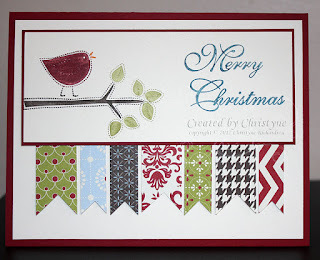 The Festive pack is a great addition to your holiday stamps and is available only until January 3rd, 2013. The Essentials pack is a great addition to your everyday stamping. In order to dress up the background, I used the leaves from my Confetti set and my Versamark ink. I stamped the image in a random pattern over the whole base. My sentiment was stamped in Early Espresso on a piece of Very Vanilla and punched out using the Decorative Label punch. My stepping it up continues on the inside of my card too! I stamped the base using my versarmark ink again, added a layer of Orchard Harvest DSP and a layer of Very Vanilla stamped with Early Espresso. Six Degrees of Separation and a card for the Crew! A few years ago, I started typing names into Facebook. Names of friends from high school, names of friends from the summer camp I attended up until 1989, names of friends from when I was a cheerleader...you get the idea. Anyway, one friend I typed in was someone with whom I attended summer camp and we reconnected. It's fun to see "where they are now". About a month ago, this friend posted on Facebook that he had a Twitter account and that those who were so inclined could follow him. So I did...and he followed back. Fast forward to this past weekend, and I get a notification that I have a new follower on Twitter - YAY!! My new follower is a stamper too!!! See? That counts at Six Degrees, right?? A connection!! (Cait is Bruce's wife - Bruce is the friend from Summer Camp) So, I checked out her blog! It's just new, but you should check it out too! Cait has some fun ideas and LOVES playing with paper! She makes what she calls "Big Hair Girls" and you'll be AMAZED at the punch she uses to do it! 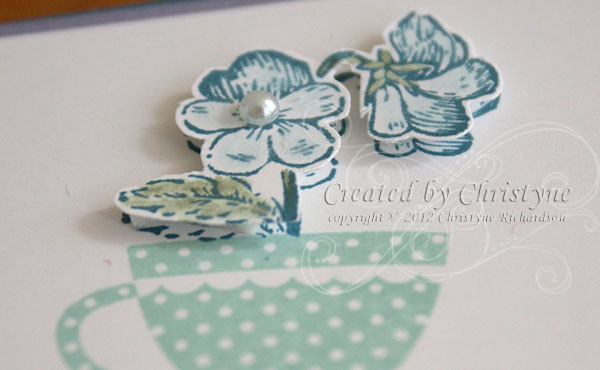 I started off with the teacup from the set and stamped it in Primrose Petals. I then cut it out (yep!) and distressed the edges with scissors. Next step was to decide what I wanted for a background. I decided on the Apothecary Accents Framelits and cut out the largest one from Very Vanilla. 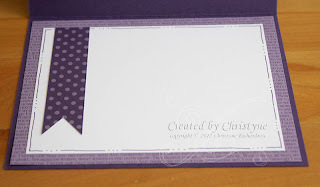 I then grabbed the matching Paper Piercing Template from the Essentials pack and pierced all the way around the frame. I wanted a little bit more and added a layer of Crumb Cake behind the Framelit. This layer was hand cut (yes, again). 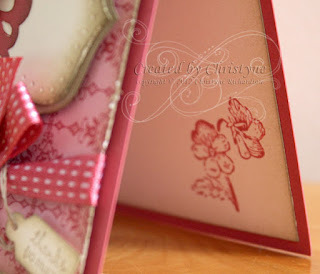 I adhered the Framelit layers to the card front layer and tied the ribbon around the those. Then I cut out the largest of the doilies from the large Delicate Doilies Sizzlit and adhered it to the Framelit. Then...I added the stamped teacup to the front and added a few pearls. You can see them a bit better in the picture above than in the full card picture. 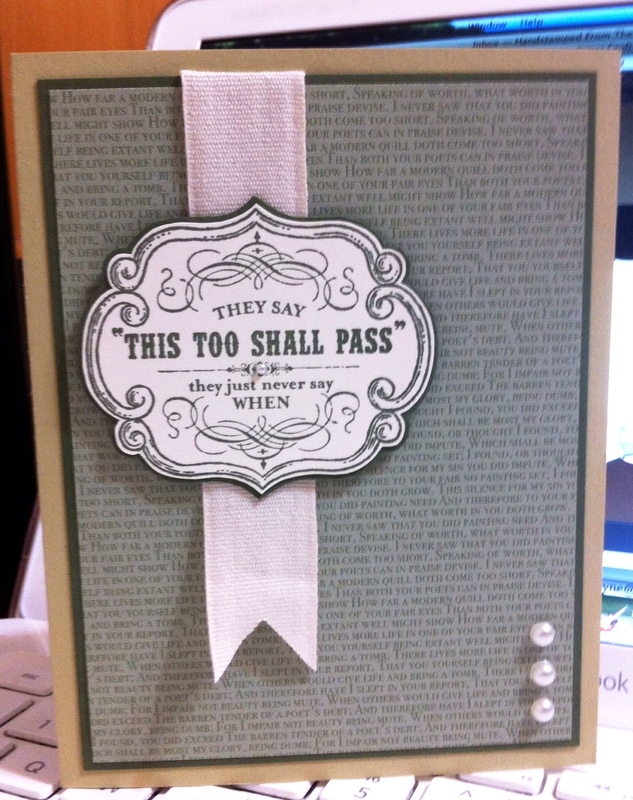 The sentiment was stamped in Crumb Cake on Very Vanilla and punched out with the Tag Punch. 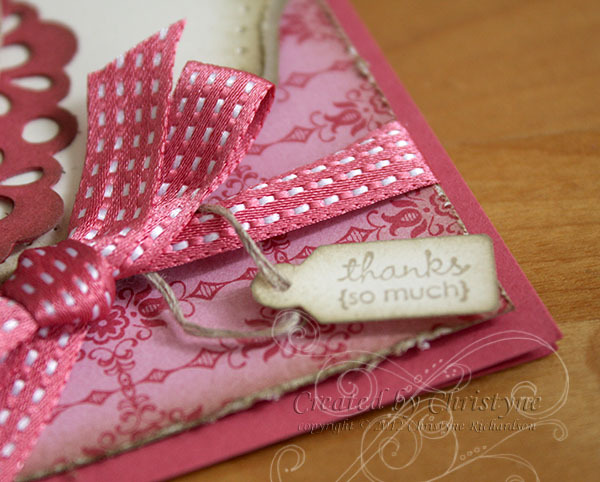 It was tied around the ribbon with Linen Thread and then adhered using a Stampin' Dimensional. A bit of Birthday for the Divas! Here's another one of those strange colour combos. It took me a bit to figure out, but I REALLY like the end result! I started off with a base of Rich Razzleberry and stamped the Very Vanilla layer with Summer Starfruit and Primrose Petals. 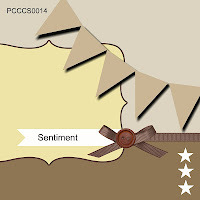 The sentiment was stamped on a strip of Very Vanilla using Marina Mist. I also sponged around the edges to add a bit more contrast between the Very Vanilla pieces. You can check out what the other Divas created here. The colour challenge is a weekly one, appearing every Tuesday! But this is something DIFFERENT. 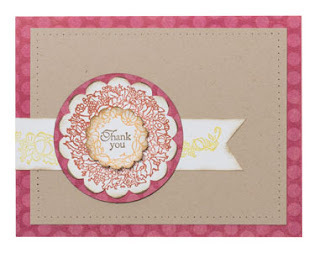 For the first time EVER, Stampin' UP! is breaking up sets to sell stamps INDIVIDUALLY! This offer is VERY limited (only till January 2nd, 2012) and is ONLY available on purchases of three SPECIFIC sets. Each of the photos above are clickable links that will take you directly to the each of the stamp sets where you'll be able to pick and choose which ones you might like. Which stamp will YOU choose? 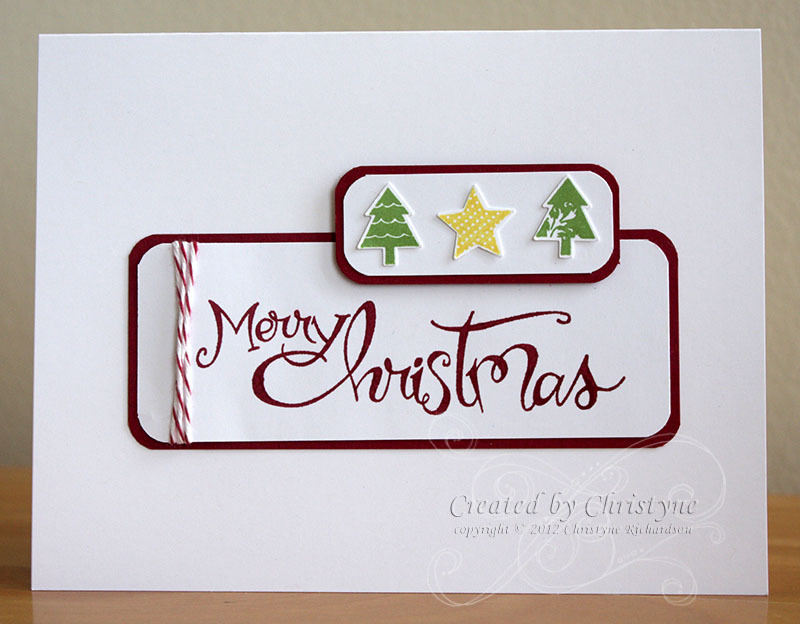 Merry Christmas from Stampin' Claus! Are YOU ready for Christmas?? It may seem like it's far away, but it will be here before you know it! Stampin' UP! has a special promotion for you in the month of October (this offer is NOT retroactive). If you'd like to see a sample of a card I created using the Festive Piercing Template, you can see one here. 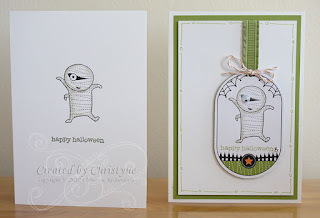 Reasons to Stamp in October for World Card Making Day! It's World Card Making day today - that's a GREAT reason to stamp! So, in honour of World Card Making Day (and the reasons to stamp), I decided to do a Christmas card today...because once you hit October 25th on this list, that's only 2 months till Christmas! 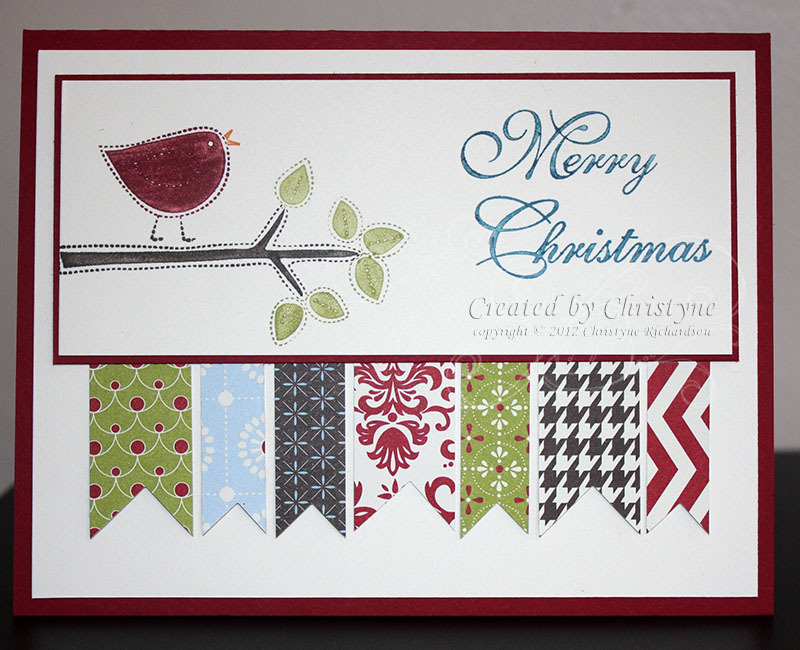 Today's card features "Joyous Celebrations", a cute little set available in the Holiday Catalogue. 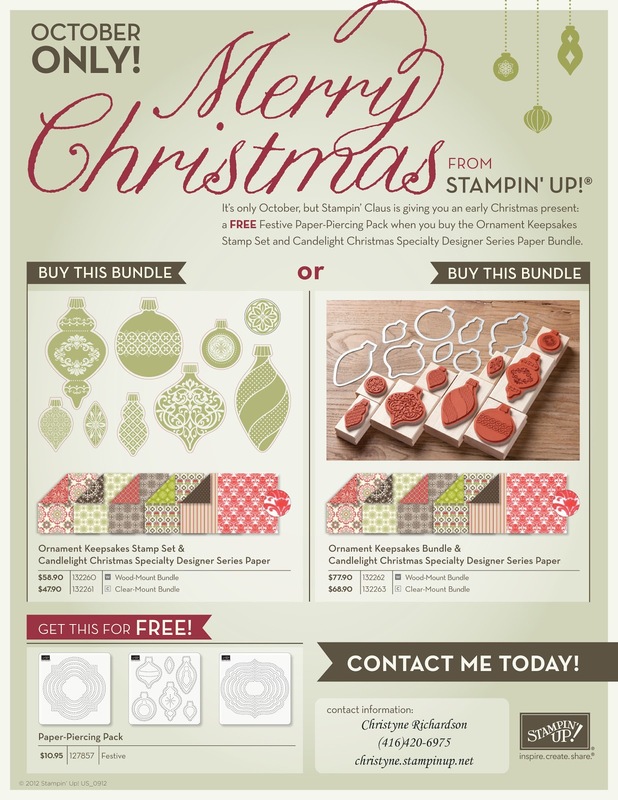 If you're coming to Stampin' Extravaganza as one of my customers, this is the set you'll be receiving. If you're not coming...why not?? There's still TWO more days to register, so hurry! Thanks as always to Jane Hignite for compiling this AWESOME list! It's a Friday - MY WAY Birthday! 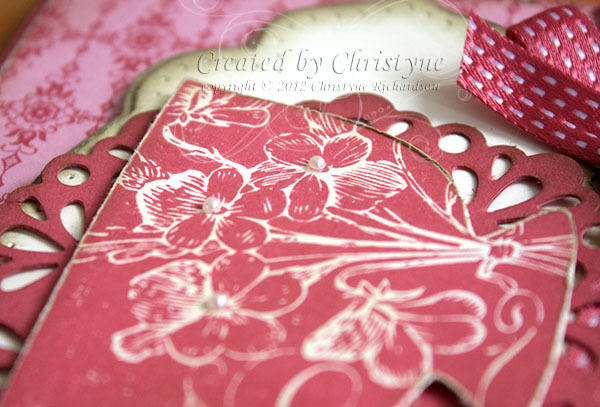 Stippled Blossoms and Just Believe for the Divas! But I thought that was a Christmas kit? CHEERS to YOU and the Utah Divas!